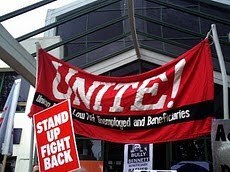 Unite Waitemata Community Branch : Doctors! Reject the Bio Psycho Social Approach! No Work Capacity Tests! Doctors! Reject the Bio Psycho Social Approach! No Work Capacity Tests! NZ's work capability tests for sick and disabled beneficiaries are based on the "work is good for you" "benefits are an addiction" approach promoted by WINZ's Principle Health Advisor Dr Bratt. This fraudulent pseudo -scientific approach to health and illness was brought to New Zealand from the UK by Mansel Aylward. In the UK thousands die annually whilst appealing the results of their work capacity tests which deemed them "fit to work." Aylward and Waddel were paid by the disgraced convicted fraudulent US insurance company Unum to invent this approach and to give it the appearance of academic credibility. In a time of economic crisis, the UK and NZ governments have seized upon this approach in order save themselves money, scare people into buying health insurance, and raise profits for a number of private companies who are paid to force sick people into work. The following analysis shows how empty and lacking in scientific credibility this approach actually is and why it should not be used by our government or supported by doctors. some cases highly questionable practices and medical assessors. (see YouTube links: http://www.youtube.com/watch?v=DNkN3DW1W6s and http://www.youtube.com/watch?v=55LzKcivWuM from Sept. 2012). 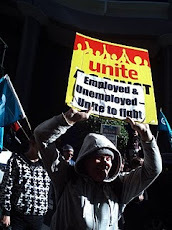 Following this, recent developments in the social security system in New Zealand now also give rise to immense concern, as work capability assessments will be applied to virtually all disabled and seriously ill, suffering degrees of incapacity. 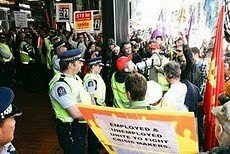 On 15 July 2013 fundamental changes to the New Zealand social security system were introduced. Most in the public only learned that 7 former benefit categories would be merged into 3 new categories, that beneficiaries caring for children now have to fulfil certain social obligations, that jobseekers may face sanctions if they do not pass a required drug test, and that benefit recipients facing a warrant for arrest, could lose their benefit, if they would not comply with new rules. A certainly much more significant set of changes also came into force, which have hardly been taken note by the media and the public. This includes the new, extremely stringent approach by Work and Income (WINZ) to require sick, disabled and incapacitated beneficiaries, to comply with greater work expectations. All former sickness beneficiaries were transferred onto the new Jobseeker Support category, and they will face new, different re-assessments for their capacity to work or train. Work capability will no longer solely - or primarily - be determined by information on medical certificates issued by medical practitioners or other authorised health professionals. There will be new additional measures, including expected, “self assessments” (on pre-designed forms), additional interviews with Work and Income staff tasked with finding ways to refer sick, injured or disabled back into some form of work on the open market. Further medical examinations by WINZ-trained and paid “designated doctors” can also be required, to assess what work a client can do. 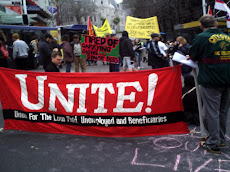 Few will comprehend the magnitude and significance of the new approach, which, when compared with similar, earlier changes introduced in the United Kingdom, can only be described as the biggest attack on the social security system of New Zealand since at least 1991. The new changes under the ‘Social Security (Benefit Categories and Work Focus) Act 2013’, are nothing but a relentless drive to force many sick, disabled and incapacitated to look at least for part time work. The claims by the government and Ministry, that the intention is to “help” people, who are “locked in” benefit dependence, are nothing but cunning, misleading statements to disguise the true intentions and agenda. 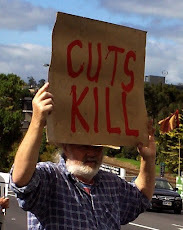 The goal of that agenda is above all: Reducing the number of persons on welfare benefits, and by doing so - COST CUTTING! 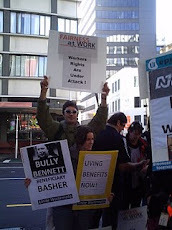 "Work is good for you" is WINZ case workers' famous quote for their clients. Actually, it put everyone in danger. The sick and older people have to tell the lie to employer that they are in very good condition. Who(WINZ,sick and old,or WINZ's doctors) will take responsibility if incapable people cause serious problem to do the job? If WINZ does not trust other doctors, just simply fire them and replace them with the doctors they like. The fired doctors become Jobseeks, but the should not find a job as doctors because they can not do a good doctor's job.